There are significant racial disparities in how marijuana-related offenses are being handled within the jurisdiction. At Ratzan & Faccidomo, LLC, our Miami marijuana possession & distribution defense lawyers are strong advocates for defendants throughout South Florida. Here, we provide an overview of the findings and analysis of the most recent Miami-Dade Police arrest data. 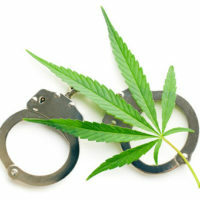 In addition, we explain what you should do if you are arrested for marijuana possession in South Florida. In the three-year time period between July 1st, 2015 and July 1st, 2018, the Miami-Dade police department issued slightly more than 10,000 citations for possession of a small amount of marijuana. To be sure, 72 percent of these citations were issued to white people and 27 percent were issued to black people. It must be noted that Hispanic/Latino is not a category that is used in this data. All defendants are classified as ‘white’, ‘black’, ‘Asian’, or ‘unknown’. During the same time period, around 5,000 people were arrested for marijuana possession by Miami-Dade Police who were also eligible for a citation based on the amount of the substance that they had on them. A Miami New Times analysis concludes that these defendants were disproportionately black. The evidence suggests that black defendants are more likely to be arrested for marijuana possession in cases where a citation could have sufficed. These disparities are a major problem and they require immediate action and reform. While the police departments in South Florida and around the country are generally easing up on the enforcement of marijuana possession, the data clearly demonstrates that many arrests still occur, even in jurisdictions such as Miami, which allows for citations. If you or your loved one was arrested for marijuana possession in Miami, FL, it is imperative that you consult with an experienced defense lawyer immediately. Your lawyer will be able to review the specific facts in your case and will help you take the appropriate action to protect your rights. A conviction for any type of drug-related offense may subject you to serious, long-term consequences. At Ratzan & Faccidomo, LLC, our South Florida criminal defense lawyers have deep experience handling the full range of drug possession cases. If you or a family member was charged with a marijuana-related offense in Miami-Dade County, we can help. For a free, fully confidential criminal defense consultation, please do not hesitate to contact our law office today.